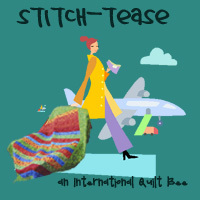 This month's Stitch Tease Bee Queen is my friend, Cindy. She went easy on us and gave us a quick, fun block with easy color instructions. We were to use any bright color for the plus center and low volume prints for the background. 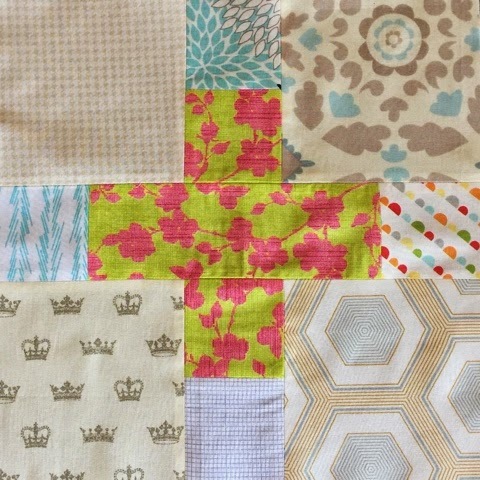 This is going to be an awesome quilt! She also requested that we each make a siggy block. I didn't take a picture of mine (my handwriting is wretched), but we made the type that you can find in this tutorial from PS I Quilt. 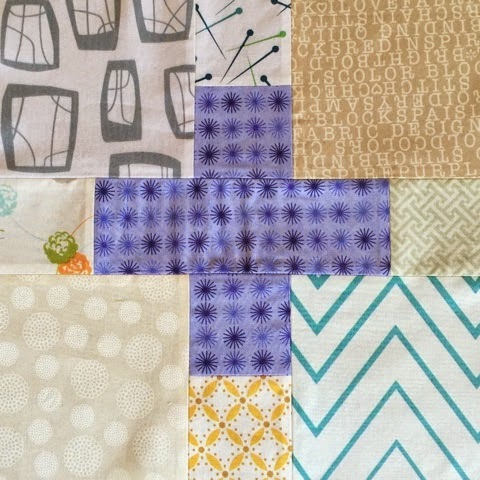 These look great incorporated into the backing of a quilt, and they're a fun way to commemorate all of the different people who contributed to a bee quilt or other collaborative effort.